Since introducing the Beston range of injection moulding machines to the UK plastics industry for the first time in July, Managing Director of IMM Projects, Michael de Beer, told BP&R why the machines’ attributes fit perfectly with the company’s ethos of ‘service first’. Q) The UK injection moulding machinery market is increasingly competitive, with more brands available to processors than ever. Why introduce this new brand now? Having worked in the industry for 12 years as a service engineer for a leading machinery manufacturer, I set up IMM Projects in 2017 as an attentive and conscientious start-up business; offering maintenance and servicing, component sourcing and fitting, and training for almost any injection moulding machine brand. Through my work I was introduced to Beston and was overwhelmed by the simplicity of the set-up and maintenance for the user, especially when paired with the overall cost savings. This resulted in IMM Projects bringing Beston to the UK market as its sole supplier. In line with my company’s ethos, we decided to offer clients an outstanding hands-on after sales service and long-term maintenance support, including 24-hour telephone help. 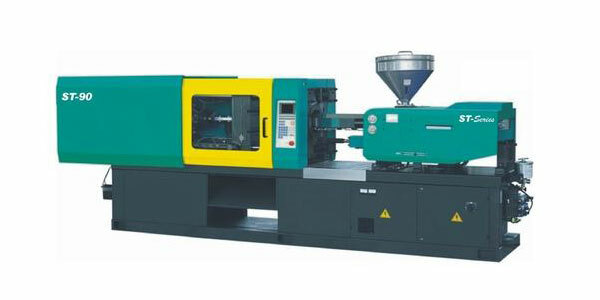 Q) There is a wide range of machines in the Beston range. Which models are available in the UK and what functions and features do they offer? There are 13 models available from the European-manufactured SYS Series, with clamping forces ranging from 600 – 13,500kN. They offer minimum mould heights of 120mm through to 1,350mm and are available as a semi- or closed-loop system. In addition, we are also able to supply 12 models from the Asian-manufactured BTW-V series. Clamping forces in this series range from 1000 – 12,000kN and minimum mould heights are between 150mm to a maximum 1,250mm. Again, a semi- or closed-loop system is available. There are several elements in the machine’s design that have been developed with both business needs and machine operators in mind. These include an energy-saving hydraulic circuit and patented high response, which enables savings of between 20 and 55 per cent on energy usage. The machine’s clamping system has a ‘V’ design, which decreases distortion of the mould platen, increases the mould life by up to 30 per cent and is exceptionally rigid. The linear guide rail has a more effective nozzle seal when compared to a guide post design, meaning it is extremely safe under high pressure. There is a double cyclinder for an ultra-reliable injection movement and overall the barrel is kept straighter and more stable. The machines are suited to a range of sectors, including household, electrical and electronics, white goods, telecom and FMCG, as well as product and packaging. They are already being used in the automotive sector, producing components including dashboards, heating vents and radio pocket buttons and panels for use in Volkswagen, BMW and Fiat vehicles. In terms of the materials that the Beston machines can process, examples include ABS, PA, PC, PP and GPP. Q) What are the standout differences of the Beston IMMs compared to other machines? The price point is the primary standout element with the Beston SYS Series, which starts at £27,000 – and even more so with the BTW-V Series, which starts at £22,000. The difference comes as the latter is manufactured in Asia; the reduced production costs can be passed on straight to UK businesses. When you compare these two Beston models with market counterparts, you get more ‘bang for your buck’, but it’s not all about price.We are offering an aftersales service that provides a higher level of support and training, both during installation and after, which plastics manufacturers might not necessarily be accustomed to. We want to ensure that customers are fully equipped to deal with programming and maintenance challenges, and, ultimately, reduce downtime. Q) Intelligent software and intuitive process control function is an important element of machine selection. Which platform do the Beston machines use? Long standing automation expert, KEBA, which concentrates its efforts on the injection moulding sector, is behind the software, basic micro-computer and control panel of Beston machinery. With 45-years inventive experience, the solutions it provides are forward-thinking, maintained to exacting standards, allowmaximum flexibility for end-users and are simple to use. KEBA is actively involved in various committees that work on standardising Industry 4.0 technologies and protocols on the smart factory market, integrating new developments quickly to support the latest standards. The modular software design of the open system lets customers choose which KEBA modules they would like to use and which modules they wish to develop themselves, adding more on at any time.